If you have iTunes™ or an RSS client, copy one of the links below and insert it into your client. When you have a new recording available, your client will notify you. Transforming All Things of a Financial and Economic Nature to Authentic Peace, Harmony and Prosperity. Welcome to the Meditation for the Economy…our internet home for daily meditation and the Sacred 999. If you have arrived at this page, your open heart is now ready to take spiritual growth, empowerment and transformation to a higher level. Here you will learn how to connect and strengthen your innate ability to access consciousness, increase awareness and live a life centered in peace, love, prosperity and joy. That means all your life, from work, to family, to relationships, to health, to leisure time, is capable of perfect harmony. And, if you one of the Sacred 999, your heart is now open to channel and hold the sacred energy for global transformation as you transform your self. We are grateful for your interest and look forward to being blessed by your presence at the meditations. You are as much a blessing as you are blessed. Thank you for being here. You are a precious child of God, a radiating center of love, much loved and deeply appreciated. Check back often since new meditations are uploaded daily. October 27, 2008, at the height of the economic collapse in the United States and across the nations of the world, Phoenix was guided to begin the Meditation for the Economy™. Each weekday at 7 am EST Phoenix channels live Messages from God® talks and meditations to those who are ready to transform and transcend their current life circumstances to realize authentic peace, harmony and prosperity—their birthright. These talks and meditations are broadcast around the world through the telephone, Internet and RSS feeds. 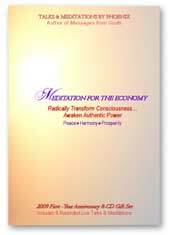 The Meditation for the Economy™ opens doors to a whole new experience of finances, life and oneself. Phoenix’s teachings and meditations initiate us into a new relationship with the transforming energy of God consciousness. 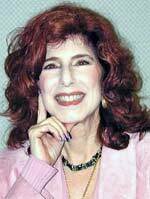 A master spiritual teacher, personal guide, business coach and muse, Phoenix provides that clarity, steeping the listeners’ heart in a renewed understanding and experience of economic power – managing home – whether it is within our own consciousness, our families, businesses and communities, our planet Earth. Transformation is an inside-out process. As each of us changes our consciousness so does the world outside of us – in our lives, families, work, communities, corporations, governments, countries, nations of the world, all of Mother Earth. When you live your everyday life from this new mindfulness it frees you from the trials and tribulations of life, even as you go through them. These daily meditations help people transform stress, pain, grief and old beliefs; experience unconditional love; feel safe and assured; and make happier choices. This awareness and awakening of total Love for who you are is the key. These daily meditations allow you to re-claim your personal power by uplifting your vibration and transcending your life circumstances, beliefs you have learned and the lower energies you are exposed to daily, to connect with the wellspring of infinite possibility within you, all from the comfort of your home or office. You will be better able to recognize and choose a higher path -- the path of peace, harmony and prosperity -- one thought, word, feeling or action at a time…and in so doing, we all benefit. Phoenix’s guidance says to live Heaven on Earth NOW is possible. Living Heaven on Earth is defined as all people across all nations of Mother Earth living in authentic peace, harmony and prosperity. 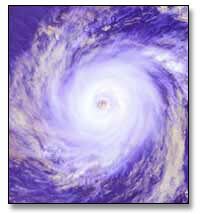 This self realization of God consciousness is simply a shift in collective consciousness. Divine Love is the dominant thought form held in mind, body and spirit. It will happen when 999 beings are meditating the Meditation for the Economy with the same intent at the same time each day. You may wonder if you are one of the 999 called to this sacred purpose. * If you are one who has been searching for your purpose here on Earth, have felt that you were here to do something important, but were not sure quite what, or perhaps had a feeling all your life that there was something much grander going on than what you could consciously connect to, then you have come to the right place. * If you are one who has always believed in Peace on Earth as real and not just a holiday greeting card message or perhaps you angst over man’s inhumanity to man, pain and suffering in the world and misuse of organized power then you have come to the right place. * If you believe in your heart in Gandhi’s charge to “Be the change you wish to see in the world” then you have come to the right place. You are most likely one of the Sacred 999. You may be guided to join the Sacred 999 to be part of, channel and hold the sacred energy for global transformation as you transform your self. Your financial support makes it possible to continue offering the Meditation for the Economy information free of charge on this web site. You may donate online (American and Canadian Dollars, Euros, Pounds Sterling and Yen are accepted) or through the postal service address listed at the bottom of the page (foreign currency is also accepted). Your thoughtful support is heartfelt and greatly appreciated! To make a single donation of your choice via credit or debit card, please use the button below: You do not need a PayPal account. Thank you! Namaste! May you be blessed abundantly with authentic peace, harmony and prosperity in return for your support. Since it’s inception from inspired guidance in October 2008, the “Meditation for the Economy” has been transforming lives worldwide. It is listened to via the live broadcast, telephone recorded playbacks and Internet downloads. Many companies, organizations, and individuals are showing their support by becoming sponsors. Please take a moment to learn more about our current sponsors and how you and your business may benefit from sponsorship. Click to see current sponsors. If you are interested in premium marketing opportunities, positioning your business as a consciously aware leader, and supporting the growth of the Meditation for the Economy so we may spread the message of transformation – authentic peace, harmony and prosperity – we invite you to become a sponsor. CALL us at 1-877-2-TRUTHS for more information. Please share your testimony about the Meditation for the Economy. Share your thoughts and feelings. How you are touched? What is your experience? How have you changed—from the inside-out? Your life? Your circumstances? How is your consciousness transforming? What are the positive transformations in your world now? How are you being transformed as you continue to listen to the meditations? What’s your authentic peace, harmony and prosperity level now? Sharing testimony is simply and humbly giving thanks, praise, and glory to Mother, Father, God, Spirit, Your Angels, Divine Love for transforming and blessing your life. When we share our testimony, it encourages others to believe in the power and presence of God and their God-nature working in their life. Every time you share your testimony you strengthen your faith and you deepen your oneness with the divine consciousness who you are. Your testimony expands God-consciousness continuing to work in your life. We gratefully share these testimonies…. “You are so inspirational! I am so blessed to have this phone meditation. I am in a much better place since I started listening to your messages and meditation. I tune in at night before I go to sleep and other times when I arise for my new day. It helps me to stay focused on God’s word. Add Your Testimony Please include your first name, profession if appropriate and city/state/country. Natural Awakenings, Ft. Lauderdale: Daily Meditation with Phoenix Way to Achieve Success and Happiness - Go to Pages 30 - 31. Please consider donating a gift if you like the meditations and/or mission of the Meditation for the Economy. Want to experience even more inspired meditations and messages to transform consciousness? Meditation for the Economy First-Year Anniversary Collection, Messages from God, Messages from God-CD, The Gift of Change are ready to order! Order individual CD's of your favorite meditations, please contact. October 27, 2008, at the height of the economic collapse in the United States and across the nations of the world, Phoenix was guided to begin the Meditation for the Economy™. Each weekday at 7 am Phoenix channels live Messages from God® talks and meditations to those who are ready to transform and transcend their current life circumstances to realize authentic peace, harmony and prosperity. These talks and meditations are broadcast around the world through the telephone, Internet and RSS feeds. The Meditation for the Economy™ opens doors to a whole new experience of finances, life and oneself. Phoenix initiates us into a new relationship with the transforming energy of God consciousness. A master spiritual teacher, personal guide, business coach and muse, Phoenix provides that clarity, steeping the listeners’ heart in a renewed understanding and experience of economic power. Connect with your own divinity. Each CD is $6.99 plus $3.00 shipping and handling, Continental USA only. International orders, please email us for shipping fees. Journey to the center of your being on yourjourney to discover and master your goal in life. Release all limits that hold you back from fulfilling God’s will through you, the gift. Be one with the three truths to realize and express the powerful presence you are. Connect with the power and presence within you to access the secret key to the store house of infinite richness. Heighten your awareness of living fully conscious and one with the power and wisdom of the Universe. Learn how to access the intelligence of the Universe. Experience a profound connection with spirit. Experience forgiveness. Includes blessings for your family, neighbors, country, Mother Earth and people of the world. Rise above fear and manipulation from outside forces. Know the truth of your being. Contact For more information regarding Phoenix publications, recordings or services.